Gorgeous gold fringe chain choker looks amazing on its own or layered with your other necklaces. Pretty high quality gold plated fringe chain is attached to gold filed cable chain and finished with gold filled components and closure. Choose from 12'' to 17'' at checkout. 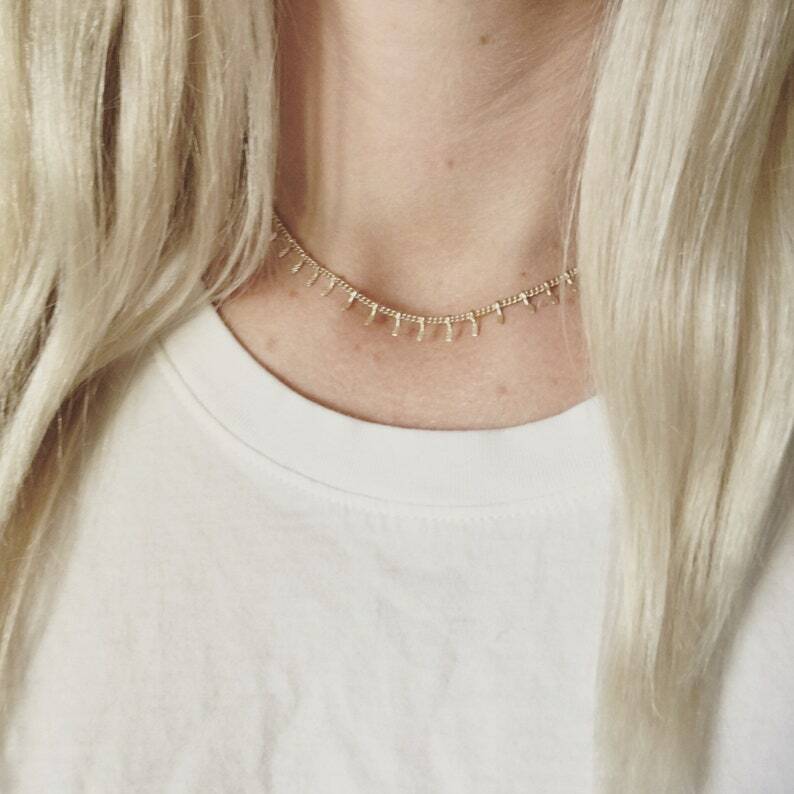 All necklaces come with a 2'' extender. The necklace is beautiful and dainty but it did not come with the 2” extender as the description states. Was kinda banking on that. It’s really difficult to get it to lay nicely, the little dangly things flip every direction. Also, the shipping takes a long time. I ordered on January 5 and received it on January 19.